Summary: Still confused about make a creative resume? 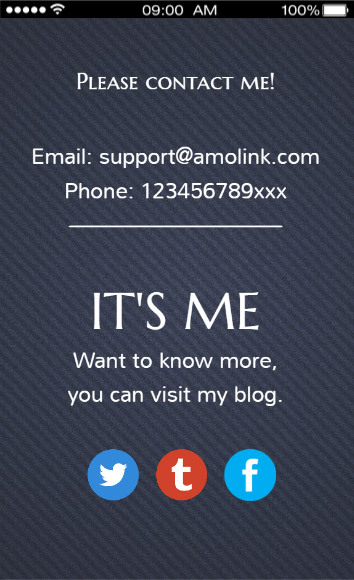 AmoLink here will explain for you from the resume content to design, this free resume maker will lead you to build an effective resume in ten minutes. The competition in job search is like a race match. Just as the athlete takes time and diligence to train in advance, a job seeker needs to prepare in a similar manner. Since building a creative resume is an important part among the job search preparations, candidates should pay much attention to it. Without professional resume, even strong candidates may not be able to clinch an interview, or worse, not even be shortlisted candidates at all. Then what are the common components of a professional resume? How to catch recruiters' eyes in this race starts from a creative resume? What information should be included? How does a well written and best resume design look like? OK, let's have a good look in the followings. 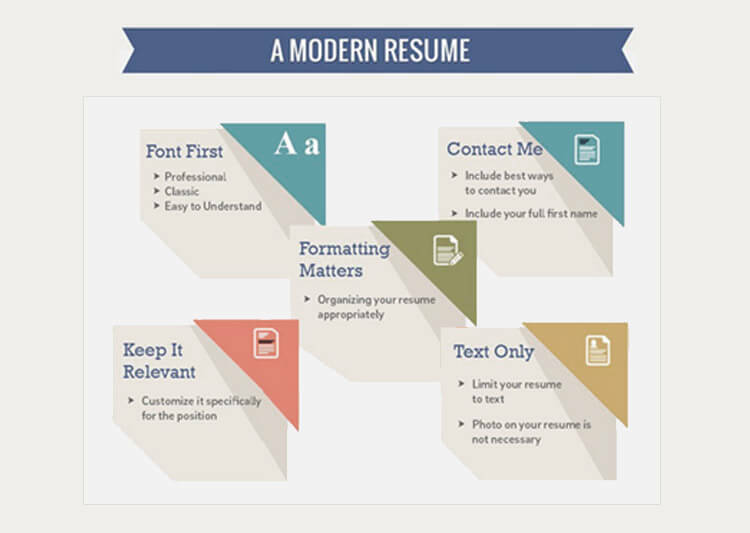 The common components of a resume format are listed below. Identification: Your name, address, and home or message phone number with area code. By the way, your e-mail address should be placed at the top of the resume. Objective: Describe your career or professional objective. Be specific and involve what you want to do for the employer - not what you would like the employer to do for you. Summary: Used by the candidate with experience; briefly state your achievements, the range of your experience and the environment(s) in which you have worked. Employment: Describe your job history in reverse chronological order - most History recent first. Education: Build your resume with list of educational experience, most recent first. Skills: Include into your resume design the foreign language fluency, knowledge of computers including specific hardware, software, operating systems and anything else that may be relevant. Community: Create a resume with information about any volunteer efforts, including name of organization, dates and a brief description of your activities and experiences. References: List professional references in a separate page. You may want to state that references are "available upon request". Above is one basic component, the CONTENT about the resume writing. The second one is DESIGN. On the whole, both these two elements are critical in determining the success of the best resume design and catching recruiters’ eyes. Now let's begin to discuss the resume design. How to Design A Resume? Do you know how many types of resume design format? There are three main types, namely, chronological resume, functional resume, and combination resume. Chronological resumes start from the beginning of a person's schooling or career, which lists accomplishments and pertinent information in a timeline. Functional resumes take a slightly different approach. They are organized in a way that classifies and elaborates on knowledge or skills, which may be important for the job that is being applied for. Combination resumes make use of factors from both other types of resume designs. It may start off as a functional resume and then end up listing accomplishments in a chronological manner. A professional resume must not only contain the right words and qualifications, but it must be easy to read. No matter how many types of the resume design, we should remember that its final aim is contributing a great deal to the impact you make to prospective employers. Once a pile of resumes are first taken out of their envelopes, the process of making a first impression begins. You can't take a chance of being ruled out at any stage of the process, so your materials must be superior. Indeed, there are some aspects of modern resume design you should peruse. 1) Include the best way to contact you. 2) Include your full first name. Customize specifically for the position. 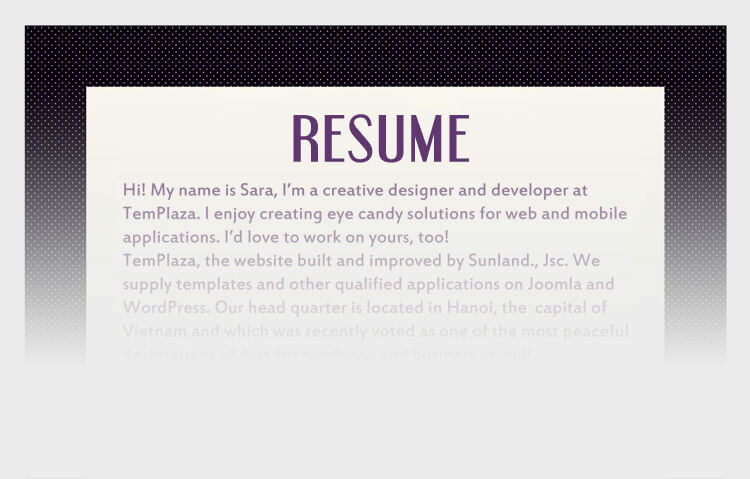 Balance your resume text in proper place. So, how does a well written and design resume look like? In my opinion, a well written and designed resume should not just only follow the above rules, but have its glowing points. To achieve this, you can utilize the modern tools to create your special resume, such as AmoLink free resume maker. To make you easy understand, below are a few steps to unleashing your creativity on design. Step 1: Choose Resume Templates. As a professional resume builder, we provide free resume templates for you. 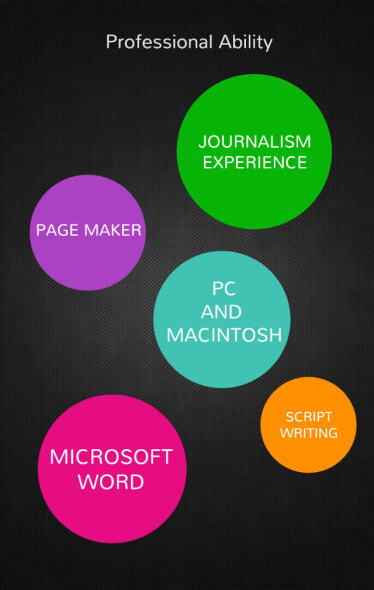 You can choose your favorite and proper one to create your own resume. Besides, we also offer you various animated and creative resume layouts customized by our experienced designers, which can save more time for you. Step 2: Simple to Replace Images and Texts. No matter in the templates or layouts, you just need to replace the pictures and texts into yours. As well, you can also drag and drop some elements or add some animations to touch up your resume to make it more creative and attractive. Step 3: Save and Share. After finishing your resume design, you can choose to directly share it in Linkedin or you can send your resume link to the HR of recruiting companies. What’s more, as well you can download it and print out. AmoLink is a revolutionary new approach regarding fun and innovative to link people by creating online animated and highly interactive contents, including the eye-catching creative resume other than in ordinary Word or PDF file type. You can no need to keep on sitting in front of a desktop and hammering your brain for your resume design ideas. What's more, you can directly have a prior online interaction with your interviewer through this resume made by AmoLink. 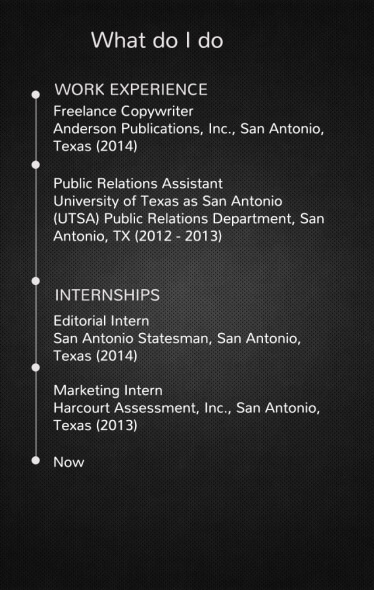 After finishing, now you can use your original animated resume designed by you on Internet, Linkedin or Facebook. No need to worry about the same type as others. 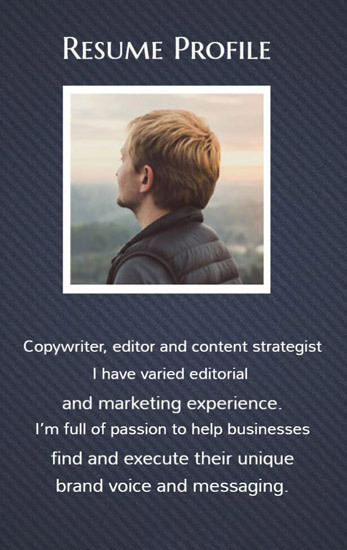 I believe it will help you drive more traffic for your dynamic resume content. As a result, you will have more job opportunities. Still hesitating now? Just have a try to impress your coming boss by sending this emerging animated resume!